I took these pictures out of our kitchen window this afternoon. 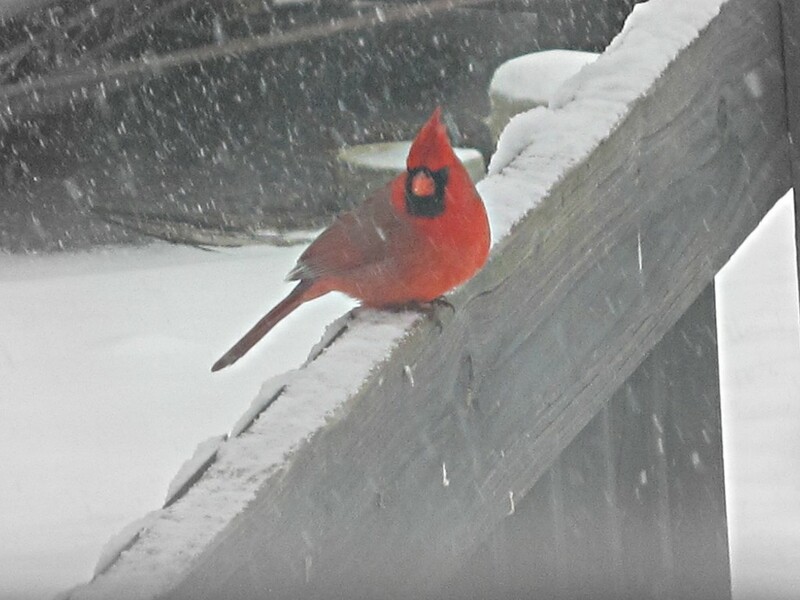 I love how bright cardinals are against the snow. I know it’s Sunday, but I’m linking up to Saturday Snapshot hosted by Melinda at West Metro Mommy Reads.